A veterans group has filed a lawsuit against the Trump administration accusing it of secretly enabling a group of private individuals to have undue influence on decision-making at the Veterans Affairs Department, violating a decades-old federal sunshine law. VA allowed a “council” of three individuals who belong to the President Trump-owned Florida resort Mar-a-Lago to unlawfully influence policy and personnel decisions at the department without the required vetting or transparency, VoteVets, a left-leaning veterans advocacy group, alleged in its lawsuit. The individuals’ involvement and deeply entrenched policy roles came to light in a ProPublica report that examined internal emails and documents, as well as accounts from former officials. The 1972 Federal Advisory Committee Act was designed to prevent the exact type of behind-the-scenes influence that the Mar-a-Lago group has exhibited, VoteVets wrote in the complaint, which was filed in the U.S. District Court the District of Columbia on Thursday. The law attempts to prevent “special interests” from driving “federal decision-making outside the light of public security, participation and debate,” the group argued. Ike Perlmutter, CEO of Marvel Entertainment; Bruce Moskowitz, an internal medicine specialist; and Marc Sherman, an attorney, are the men in question. They were allegedly involved in making personnel decisions, pushing for new programs and potentially personally benefiting from the positions for which they advocated. They had direct lines of communication to the VA secretary and chief of staff, according to internal emails and accounts obtained by ProPublica. A spokeswoman for Rep. Phil Roe, R-Tenn., who chairs the House Veterans' Affairs Committee, said the report demonstrated “yet another reason why the department needs permanent, strong leadership.” A spokeswoman for Sen. Johnny Isakson, R-Ga., Roe's counterpart in the Senate, said Isakson "is aware of the individuals mentioned in the story and has concerns about the effect that outside individuals may have had on the VA."
The advisory committee law covers “any committee, board, commission, council, conference, panel, task force, or other similar group” established by statute, the president or utilized by one or more agencies. The law requires such groups to file a charter with the General Services Administration and to follow an array of rules regarding their makeup; holding open meetings; and preservation and publication of records, studies, transcripts and other documents. VoteVets argued in its complaint that the Mar-a-Lago members made up such a group and skirted their legal requirements. None of them have relevant experience, VoteVets said, and the full extent of their influence is unknown. 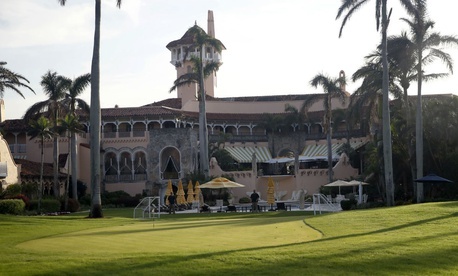 The advocacy organization said it was harmed by the Mar-a-Lago council because it has deprived the group of participating in its meetings to represent its views. VoteVets asked the court to demand VA provide all documents, reports and other records relating to the group and that the individuals cease any contact with VA until they comply with FACA. The individuals told ProPublica they have “no direct influence” at the department, a denial echoed by spokespeople at VA and the White House. VoteVets, however, said the Mar-a-Lago members’ influence helped explain the firing of former secretary David Shulkin and the administration’s push to boost the private sector’s role in providing health care to veterans. Earlier this year, Trump signed into law the MISSION Act, which made it easier for more veterans to seek outside care on the government’s dime. VA Secretary Robert Wilkie said at a Cabinet meeting on Thursday he was meeting with Office of Management and Budget Director Mick Mulvaney on Friday to discuss next steps to expand the Veterans Choice Program.